Missouri Education Watchdog: Who Endorses Common Core and Who Opposes It? Who Endorses Common Core and Who Opposes It? More than 400 school districts, businesses, individuals, and colleges and universities have stepped forward to endorse Missouri’s implementation of the Common Core State Standards for math and English language arts. 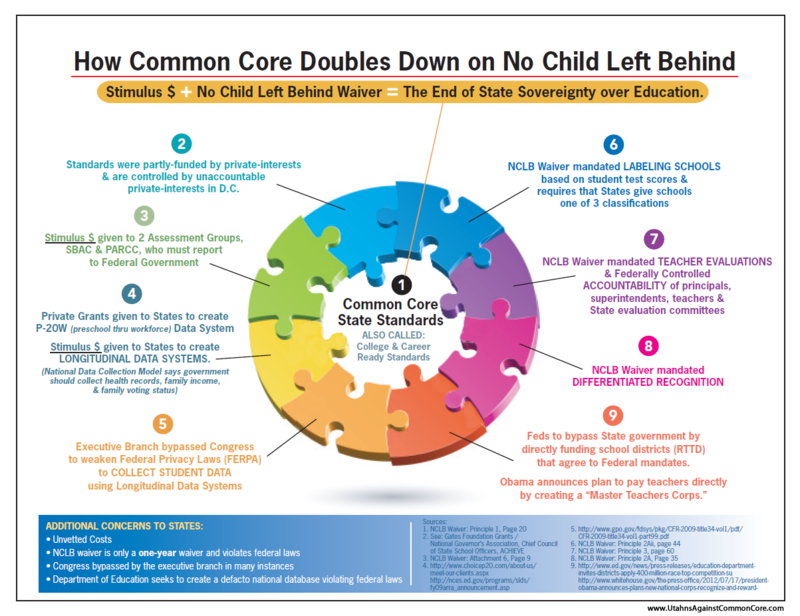 The Common Core State Standards have been endorsed by more than 200 Missouri school districts, 90 individuals, 50 educational organizations, 40 businesses and business organizations, and 35 institutions of higher education. A complete list of endorsements is available at dese.mo.gov/documents/CCSS-Support-lists.pdf. Do you or your school board members agree that your superintendent can speak unilaterally for your district on questions of policy? If not, your school board needs to make it clear to your superintendent when they can make these decisions alone and when they must get Board approval. They will only be accountable to the public if they are held accountable. These lists don't include the signatures of Missouri citizens (not businesses or organizations receiving financial rewards for CCSS implementation) opposing Common Core standards. 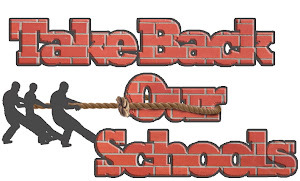 You can find Support Local Control of Education - Get Missouri Out Of Common Core here. The Common Core State Standards will also help make Missouri students competitive in a globally recruited workforce, said David Russell, commissioner of higher education. Mr. Russell's statements are supposition and his claims are unproven and untested. If these individuals, corporations, superintendents and institutions of higher education endorsed an initiative not supported by facts and research, taxpayers should demand answers from them why they signed this support statement of non researched and unpiloted educational jargon. Would you sign a support statement for a state agency that signed on to standards and assessments that had not even been written? Would you sign a support statement for programs that had not been field tested? Would you sign a support statement that allowed for private trade organizations to set the standards for your state's educational standards and assessments and your school and district could not alter? Would you sign a support statement for unfunded debt to be borne by your school district without nary a vote from a taxpayer? Would you sign a support statement that would allow your district to release personal data (up to 3,000 data sets according to data retrieval company eScholar) on your child and teachers? If the answer to above questions are "no"...and because your child is not common, please support the effort to stop implementation of Common Core State Standards in Missouri on Missouri Coalition Against Common Core State Standards. "old" state standard curriculum and give the standardized test of "old" standards? it seems theres no guidance and the standards are so vague, how do I know if even I am indeed teaching them? So I don't. 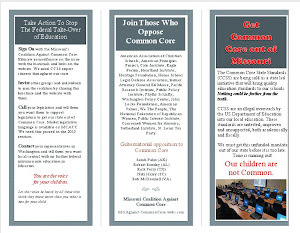 You know, I can't remember exactly how this all went down, but when Common Core was first being talked about several years ago part of RTTT required school districts to issue a letter of intent for Common Core. I think that had to be passed by the local school board because I remember trying to get the BOE here in Liberty not to sign that letter of intent. Few of the school board members at the time really even understood what Common Core was. I remember being told by some board member that they needed to do this just in case it prevented them from being eligible for Federal funds. My point here is this, just because the school districts are listed on DESEs PDF does not necessarily indicate support. It indicates they were just responding to more Federal strings.